Today's post, like the rest of the week, was all about where the polish was from. In this case, Russia, and therefore in the Asian continent. 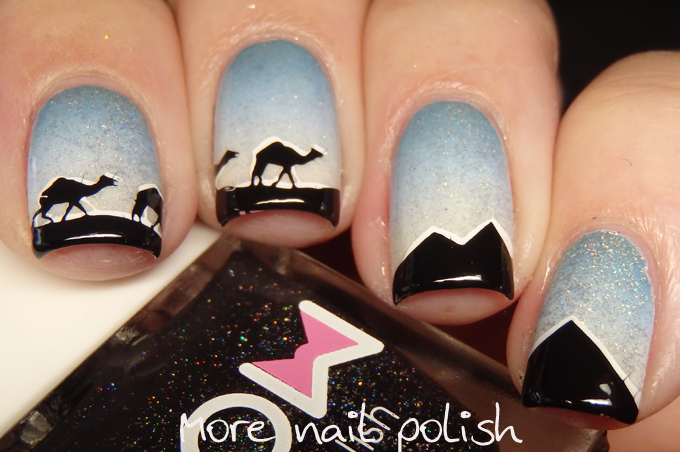 Yet I ended up doing an Egyptian theme, so you could also say that this mani represents the African continent. 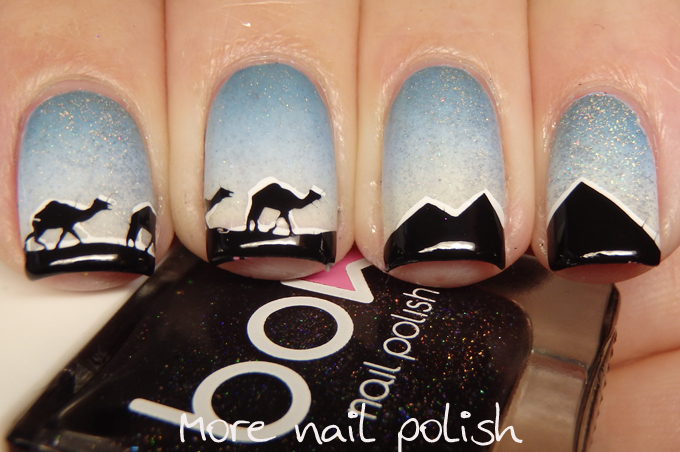 This mani was so amazing, and I'm really pissed at myself. You see I created this beautiful design with a light blue to yellow gradient as the background. 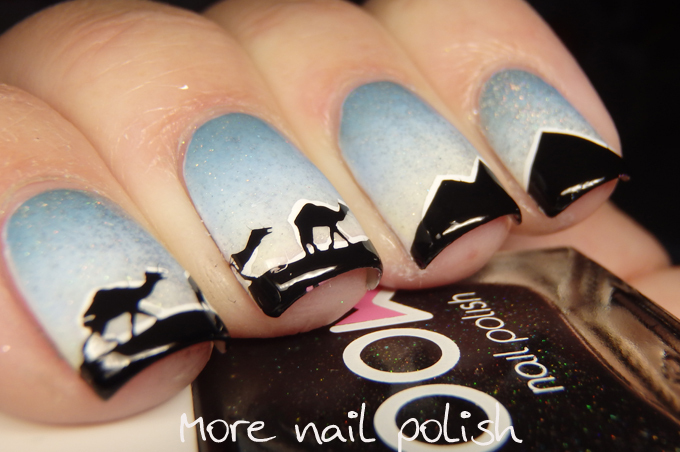 I then used the Bow thermal polishes to create a dark sunset gradient over the top. Then I only remembered to photograph it in the warm state, were you can't even see the Bow thermal top coats except for the holo sparkles. The only thing I did remember to do was a transition video. So that's the only way you will get to see the cold state. These are amazing! That video too! Gahhh, I love them! Plus I love how you played the design, it really looks amazing! WOAH! That video is COOL! It's like watching the sun rise! AMAZING! WOW, THAT THERMAL IS SO COOL! 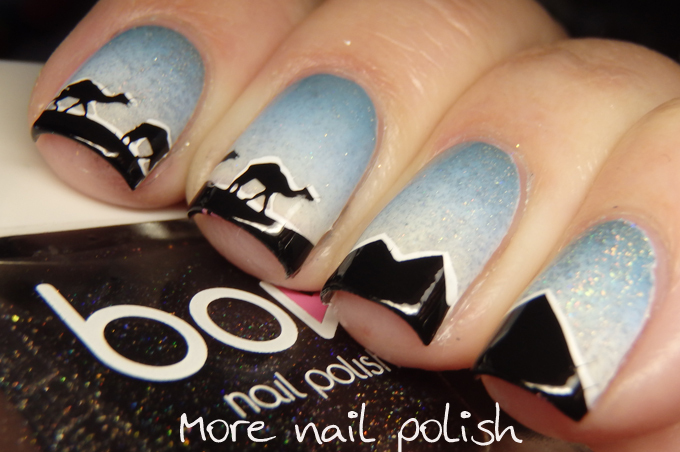 Your nail art over top is so smart too! Great work!